Members of the Chi Phi Fund Advisory Council promote annual giving to the Chi Phi Fund at all levels and serve in an advisory capacity to the Trust. 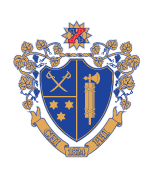 The purpose of the Chi Phi Fund Advisory Council is to encourage other individuals to make annual gifts to the Fund at all levels. In addition, the Council serves in an advisory capacity to the Chi Phi Educational Trust on matters pertaining to the Chi Phi Fund and Chi Phi’s annual giving initiatives. Participate in no more than three online meetings and conference calls per year. Advisory Council members serve three year terms from July 1 through June 30 each year. Council members may serve consecutive terms so long as they meet the minimum expectations and requirements outlined above. If you are interested in serving on this Advisory Council, please contact Director of Development John Fisher at 404.231.1824 or fisher@chiphi.org.